FEW things are ever clear-cut when trying to get to the truth in politics. We encounter spin, twisting the facts and downright lies. The former Cabinet minister who oozes self-belief has been lying through his teeth for nearly two years. He swore blind the he would prove the newspapers wrong after they exposed how he made his wife take his speeding points so he wouldn’t get a driving ban. The deception dates back to March 12, 2003 when Mr Huhne’s car was caught by a speed camera on the M11 near Stansted Airport. 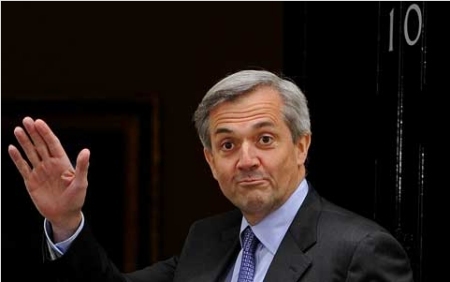 Chris Huhne: Waving goodbye to politics? But now he faces a possible jail sentence after today admitting perverting the court of justice. Mr Huhne also announced he will resign as MP for Eastleigh in Hampshire. The 58-year-old Lib Dem had vehemently denied the claims when he was first charged last February, and repeated the denials in court as recently as last week. He was represented by John Kelsey-Fry QC, one of the country’s most sought after barristers during the proceedings at Southwark Crown Court. It is always sad to see anybody’s career ruined. This tragedy was so needless when it was over a driving ban which would have been a one-day wonder in the papers at the time. But let’s not forget that he was a contender for his party’s leadership when he stood against Nick Clegg in 2007. It’s another shining example of how “lies” in the media so often turn out to be the truth. And why we must not allow politicians like Mr Huhne to shackle the Press any more than it already is.